Steven McCool, a former Federal prosecutor, has served as lead counsel in more than 75 criminal and civil jury and bench trials. He is a Fellow of the American College of Trial Lawyers. The National Law Journal has named him as one of 50 lawyers in the United States who has made his mark in white-collar litigation. In Chambers USA: America’s Leading Lawyers for Business, he is a nationally recognized litigator. In 2018, his peers described him as an “incredibly talented trial lawyer.” In 2017, his peers described him as “one of the best trial lawyers in the city.” Another peer added: “He wins the unwinnable cases. 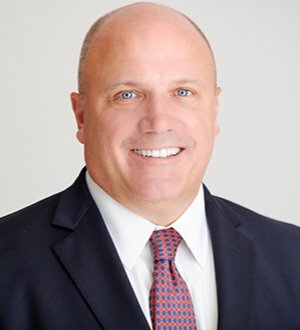 I’ve never see anyone more committed to the interests of his clients.” In 2016, his peers described him as an “exceptionally gifted” trial lawyer and a “tenacious” advocate for his clients, “including SEC enforcement, internal and grand jury investigations, in addition to FCA litigation.” Mr. McCool is identified as one of the Best Lawyers in America® by U.S. News & World Report (Tier 1 – Criminal Defense: White-Collar Litigation). He is also recognized as one of “Washington’s Top Lawyers” by Washingtonian Magazine, and in 2014, 2015, 2016, 2017 and 2018, Mr. McCool was named as one of the “Top 100 Lawyers in Washington, DC” by Super Lawyers®. Main Justice honored Mr. McCool with its Distinguished Service Award in the Zealous Advocates category and as one of five nominees for Trial Firm of the Year in its first annual Best FCPA Lawyers Client Services Awards. Best Lawyers in America - (Tier 1 – Criminal Defense: White-Collar Litigation)., U.S. News & World Report.